The MAX Function temporarily sets the set-point temperature to 80°C by bypassing the previous operating mode (if the ECO Function is active). The anti-legionella function is activated by default. It consists of heating/maintenance cycle of the water at 60°C for 1hr so as to carry out thermal disinfection against the relevant bacteria. If the product always works at a temperature below 55°C, the cycle is repeated after 30 days. When the product is off, the anti-legionella function is not active. The ground-breaking patented WaterPlus technology keeps the incoming cold water at the bottom of the tank, thus reducing the mix of cold and stored hot water. This allows up to 16% more hot water available, to let you enjoy the comfort of an extra hot shower anytime you want. The "ECO EVO" function consists of a self-learning software applied to user consumption that allows for minimising heat dispersal and maximising energy saving. The "ECO EVO" software runs an initial one-week learning period, during which the product starts recording the user's energy requirements. From the second week onwards, the learning phase continues in order to understand the user's needs ore thoroughly and the product adapts the temperature every hour to the energy requirements. 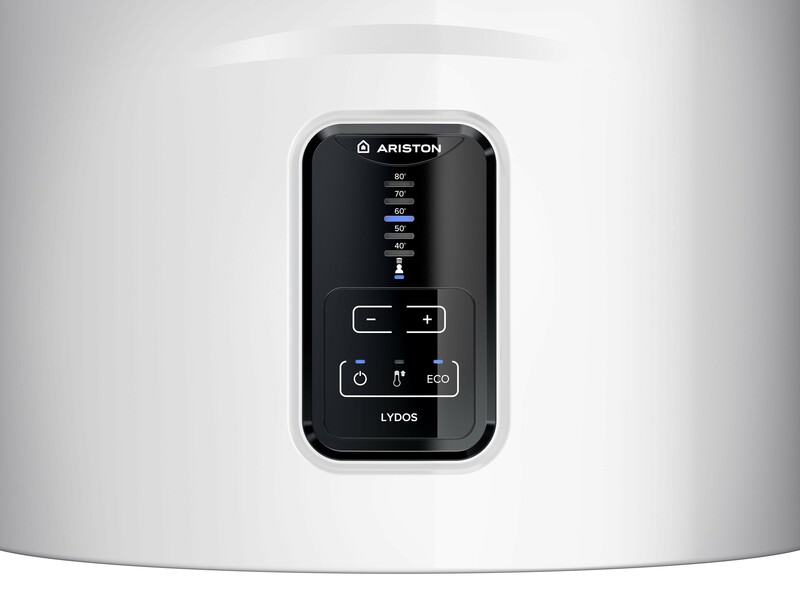 The "ECO EVO" software activates water heating in the time and quantity determined automatically by the product itself, based on the user's consumption. During periods of the day in which no withdrawals are planned, the product nonetheless guarantees a reserve supply of hot water.